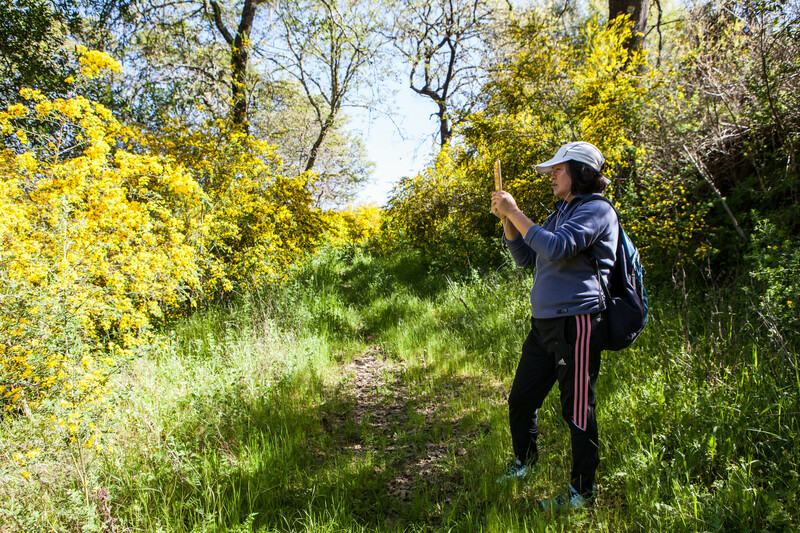 Earlier this month, I had the chance to check out Bear Creek Open Space Preserve in Los Gatos. Up until recently, I didn’t know that this spot existed right off bustling Highway 17. It’s a chunk of land under the care of Midpeninsula Open Space Trust that’s currently not accessible to the public, except by permit. 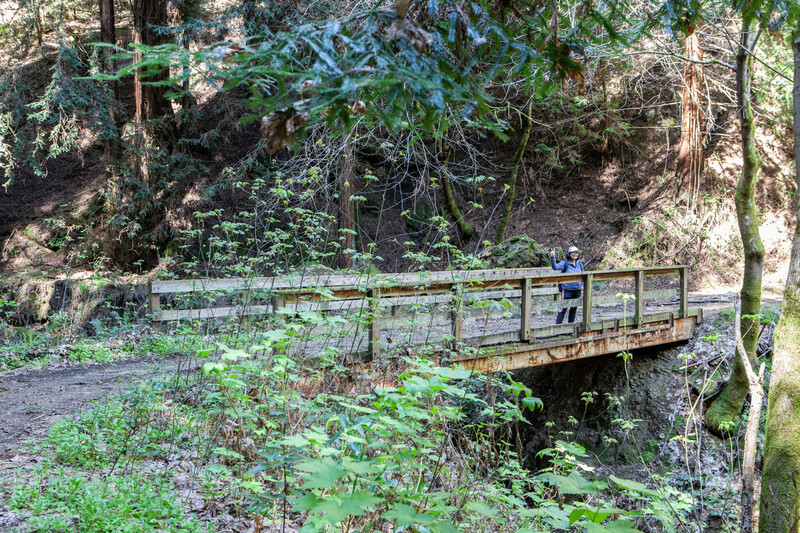 This land, the ancestral homeland of the Tamyen Ohlone, is rich in history. In the 1850s, this area was a sawmill. The majority of the trees that stand tall are babies, second growth redwoods. An heir to a mining fortune purchased the sawmill and built a palatial mansion. After the heir passed away, the property then came into the hands of the Sacred Heart Novitiate, who converted the buildings into Alma college. 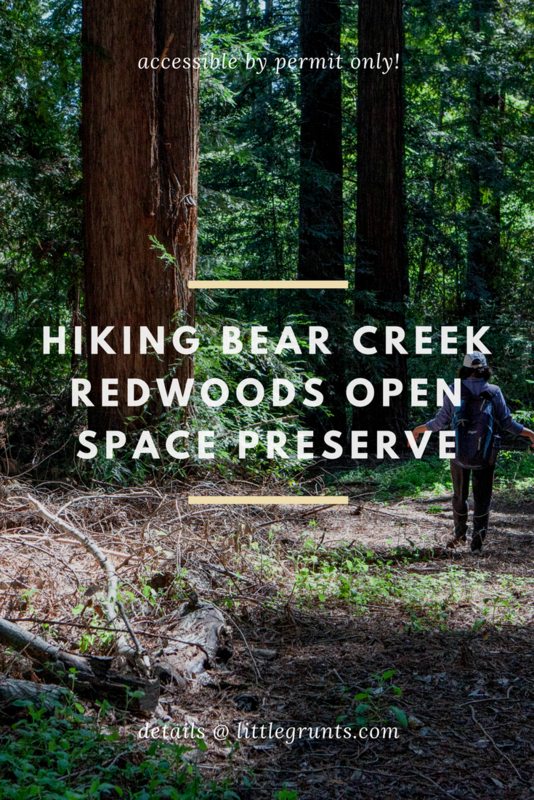 Bear Creek Redwoods Open Space Preserve was sold for luxury home development. Then there was talk of a proposed golf course before the land eventually made its way into Midpen Open Space Trust. 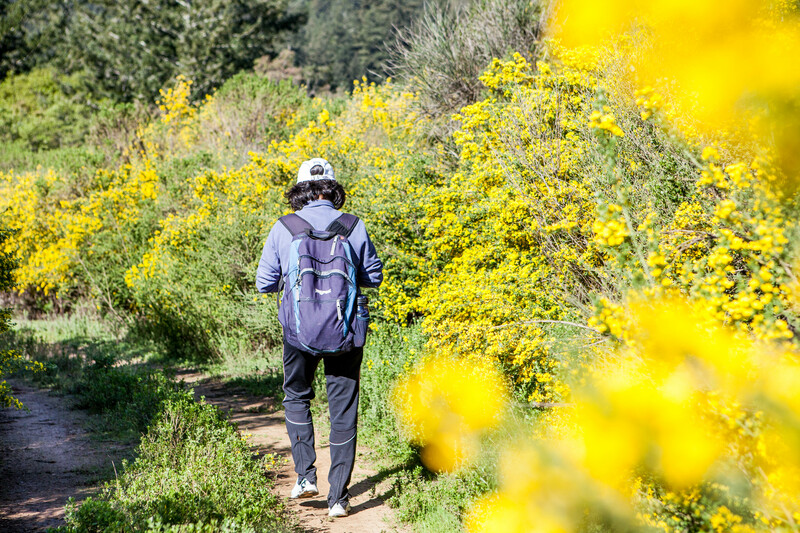 It’s been a long road for this open space preserve, which is currently accessible only by permit. Beginning May 1, no permits will be issued due to construction. Midpen hopes to tear down most of the old dilapidated buildings that make up Alma College. Signs, bridges and culverts still need installation. Old debris needs to be removed. Old logging roads are waiting to be converted into trails. When we hiked this, we had a map provided with our permit. 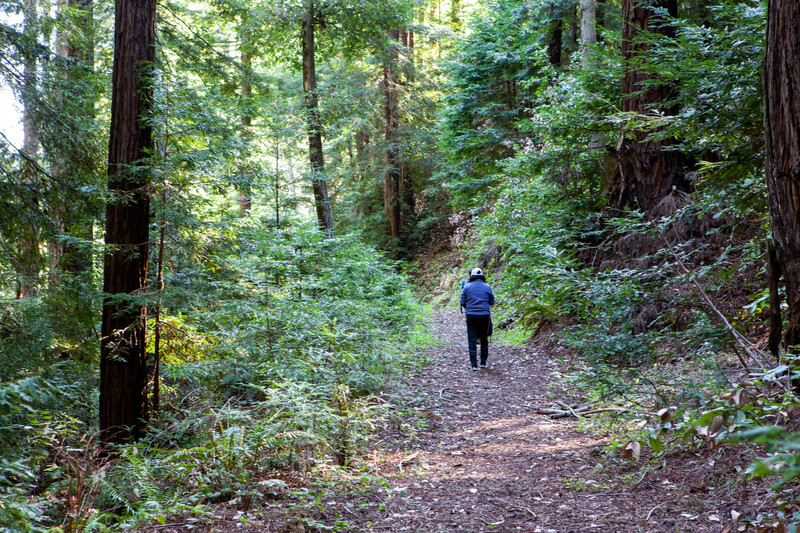 It doesn’t show the extent of the old logging roads that crisscross across Bear Creek Redwoods Open Space Preserve. Most of the trails that we followed are unsigned, and in poor shape for general use. Some of the old logging roads were crumbling out of the hillside. This preserve in its current state is not for the faint of heart. 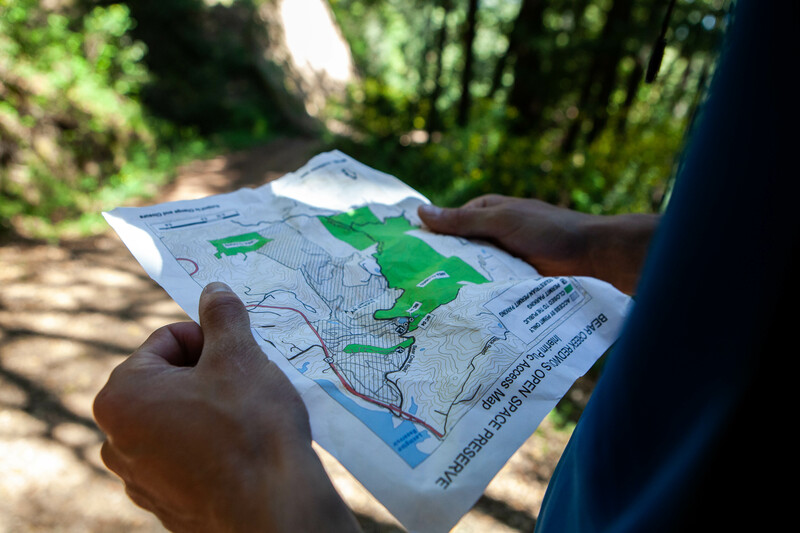 You should be able to navigate with a map, and you should be comfortable navigating through debris on the trail. 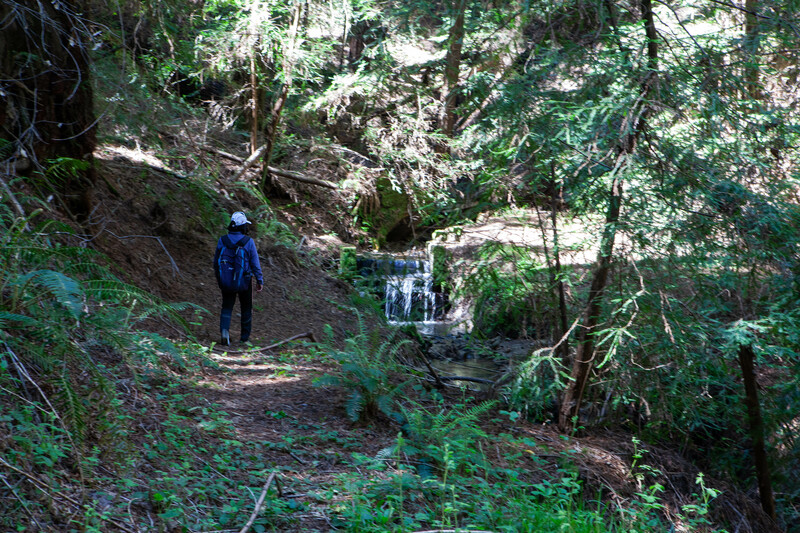 That being said, this permitting system for Bear Creek Redwoods Open Space Preserve is a unique look into life on public lands before it is open to the public. 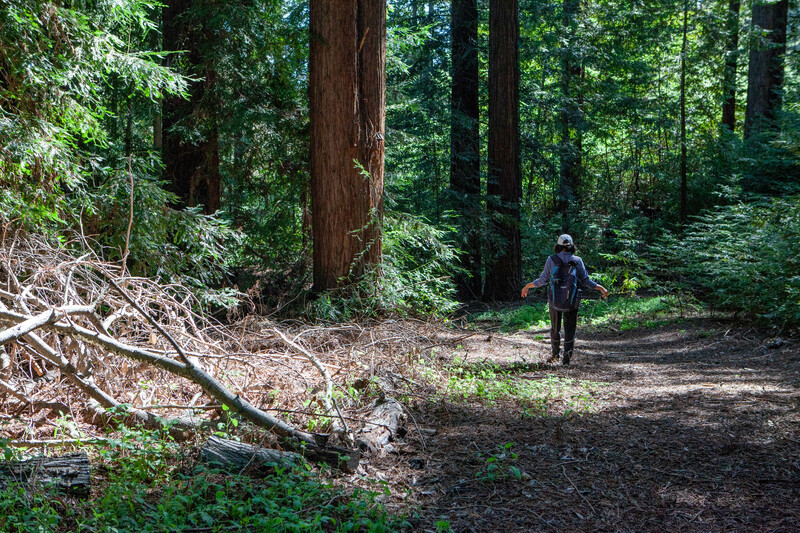 The redwoods aren’t big, but you’ll be guaranteed to be one of the very few people on the trail. 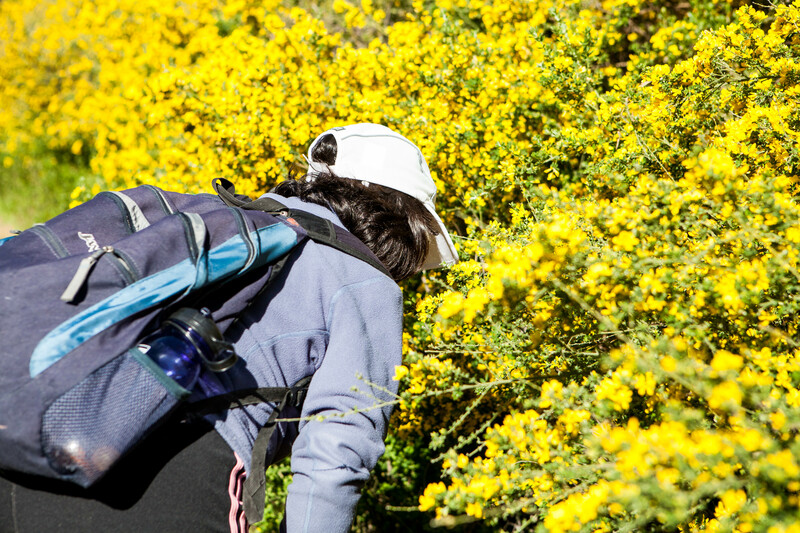 Bonus: the wildflowers are in right now and they are POPPIN’. 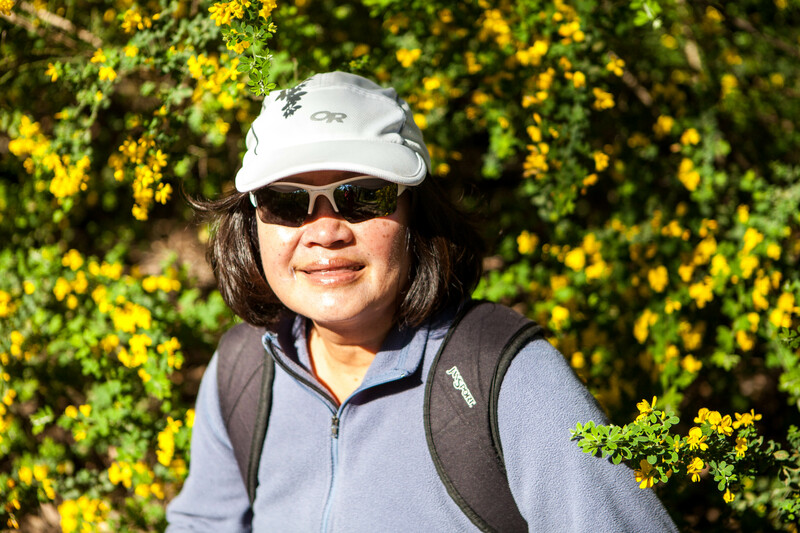 Head over to the Midpeninsula Open Space Trust website to apply for a General Access Permit. Fill out the provided form and someone will email you back with a PDF with instructions on how to get into the parking area. It took less than a day for me to hear back. This park is currently only open to hikers and equestrians. Dogs are not allowed. There are plans to add access to mountain bikers in the future. For a look at the route we traveled (approximately 7 miles), check out my GPS track below. We did have to walk across the Saint Aloysius Retreat Center property after our initial jaunt up a fire road ended. This connected us to a more densely forested area. There is are also a few sections where the trail dead-ended or the trail was not comfortably passable, and we turned around.